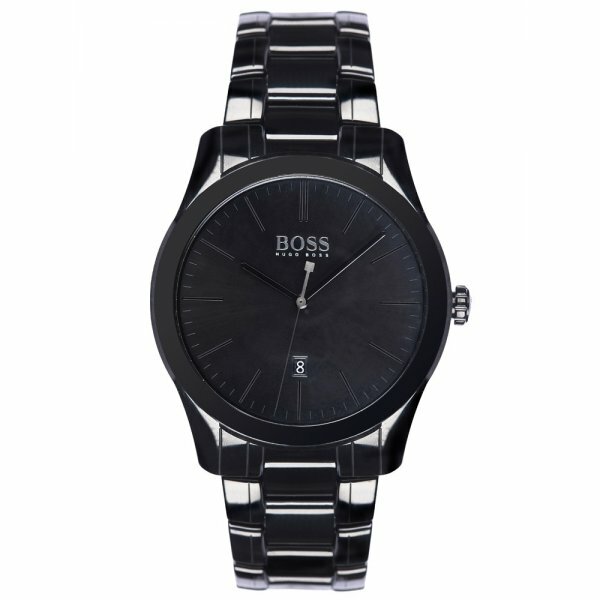 The Men’s Hugo Boss Ambassador Watch 1513223 is available to purchase at Hillier Jewellers. It features an all back ceramic case and strap with a black dial and date window. Taken from the Hugo Boss Ambassador Watch collection this gents Hugo Boss Watch 1513223 comes with a two-year warranty and is supplied with an official Hugo Boss Watch gift box.